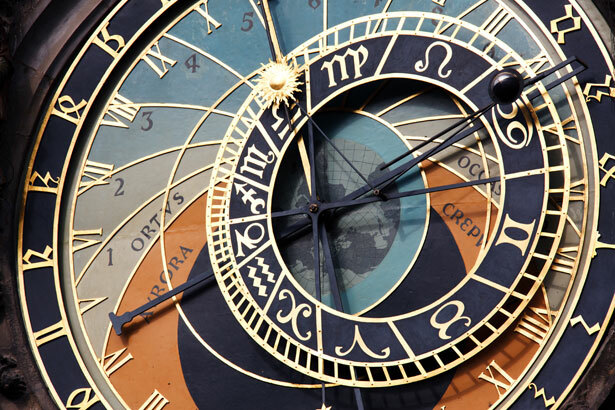 The University of Arizona Division for Late Medieval and Reformation Studies joins with St. Philip’s to present their annual summer lecture series, entitled “Keeping Time in Early Modern Europe.” In the transitional sixteenth century, European people reckoned the passage of time in various ways. Sometimes they combined two or more ways—but all were connected with their religious beliefs. The 2014 Summer Lecture Series will present four of these ways of measuring the passage of life: by the human life cycle, from birth through maturity to death; by the medieval Catholic ecclesiastical calendar, which was only initially taken into emerging Protestantism and then mainly rejected; by observations of the heavens, whether scientifically or from a belief in astrology; and through the eyes of Pope Gregory XIII (r. 1572-1585) and his advisors, who ended the Julian calendar in 1582. This joint offering between the Division for Late Medieval and Reformation Studies and St. Philip’s is free and open to the public. These lectures provide a unique opportunity for scholars training in the field to prepare a project and present their work to a large audience at St. Philip’s, assisting these students in their graduate careers. The series includes an expert faculty member in the Division each year. The public is cordially invited to join us in supporting these future scholars of Reformation history.